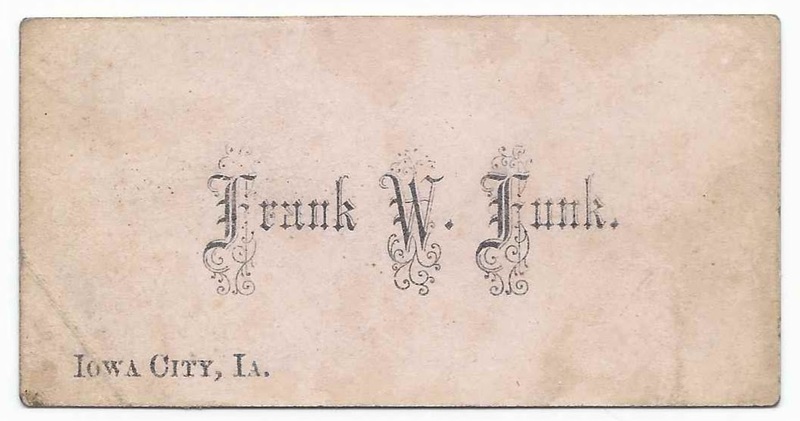 19th century calling card of Frank W. Funk of Iowa City, Iowa. 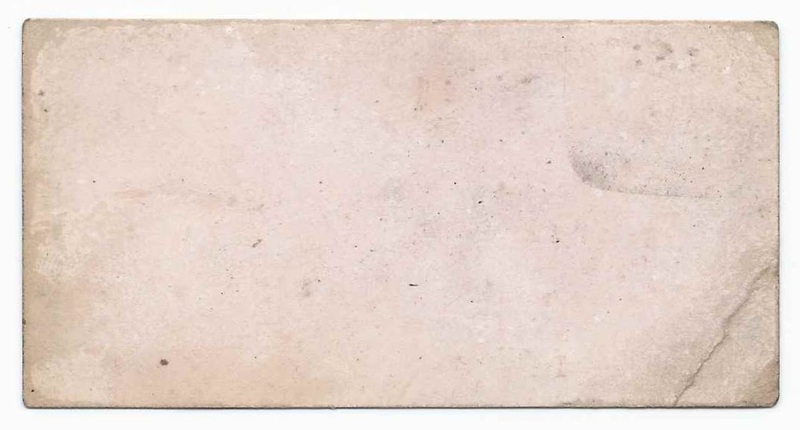 Nothing on reverse. Frank W. Funk born about 1857 in Iowa, son of Henry and Nancy Funk. Frank W. Funk, born 16 April 1857 in Iowa, son of William and Amy (Eaton) Funk, who married Anna L. Blaise and lived in Missouri. There's a Frank W. Funk of Keota, Iowa, listed as a student in the Engineering Department at Iowa State University in catalogs from the 1870s; he may have been one of the two Franks above, or another Frank. He's hopefully not the Frank W. Funk mentioned in an 1899 issue of the Iowa City Press Citizen as being nabbed in Missouri and brought to Iowa on suspicion of the murder of William Brooks at Washington, D.C. More information on the murder and trail in the December 24, 1899 1899 issue of The Times at Washington, D.C. This Frank W. Funk's connection to Iowa City might have been only that Iowa City was the place he was first taken after his capture. If you have a theory as to the identity of Frank W. Funk of Iowa City, Iowa, please leave a comment or contact me directly. Thanks!